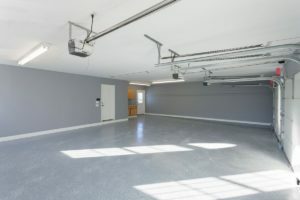 One great way to improve your Andover home is to remodel the garage. Garage conversions can offer you more living space or simply make the space more enjoyable to use. Either way, a garage conversion can add value to a home. As an Andover garage conversion contractor, our customers usually have some common complaints about their existing garages. As professionals, we provide the solutions they need. If it’s time to give your garage a makeover, here are some garage conversion ideas our customers like most. Garage conversions are all about making the space better for you, not anyone else, so don’t feel bad if you only do something for you. If your laundry area is in the garage, you’re probably sick of all the dust and grime. For those stuck with doing laundry in the garage, now’s the time to make your laundry area nice! Let’s start with the laundry area floor. Your laundry area can be greatly improved by installing a simple floor underneath your washer and dryer and in the area where you stand. This makes the area easy to keep neat and clean. Shelving or cabinets make the laundry area even better. Be sure the shelves are built with backs, not open, so you don’t have to deal with small objects falling back behind the dryer! A washtub-style sink will put the final touches on your new laundry area. If there’s no sink and there’s enough space, make this a part of your garage conversion plans! A fold-up or stationary table is a great idea for a laundry room in the garage. If you don’t have any place to set down the laundry basket, make this a priority! If you need space to store things for the family pack rat, make sure your garage conversion includes building wall shelves and cabinets. Even if your garage is cramped and there’s barely enough room to open the car doors, some overhead storage or high wall cabinets can be installed to take advantage of the limited space. Fold-out tables can be installed on walls to make working on projects easier. One of the biggest changes you can make to your garage is to install flooring. If you are doing a complete garage conversion, you can install any type of flooring. You’ll need a stronger flooring system if you plan to continue driving vehicles over the surface. While you may need to handle some waterproofing or build up the concrete slab first, anything other than a rough, concrete floor surface would be wonderful. Even if you still intend to use your garage to park vehicles and store junk, you can replace that old metal or wood garage door with something more functional. For instance, you can enjoy a nice breeze through the garage by getting a garage door with an exterior rolling screen. You can also opt to install sliding screens. Either way, you get the breeze and the mosquito protection! 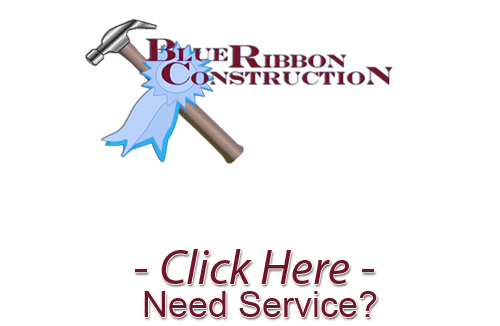 If you’re looking for an Andover Garage conversion contractor or the surrounding areas, call Blue Ribbon Construction at 316-871-4815, or fill out our online request form.